While at ICAR 2017, Adam Seroka and I were talking with Jacqueline Monaghan, who is an Assistant Professor at Queen’s University. 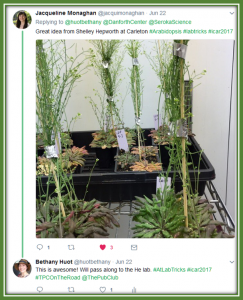 She shared that, as a new professor, one of her favorite things to do when visiting other labs is looking for ideas to better organize her lab or new lab tricks she can adopt. 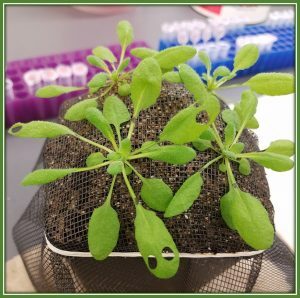 Tip #1: Use foil rather than twist ties or twine to tie Arabidopsis inflorescence for bulking seed. It is much faster and a bit gentler on the inflorescence stems. We decided to share our conversation and the tip on Twitter in case anyone else might find it helpful. 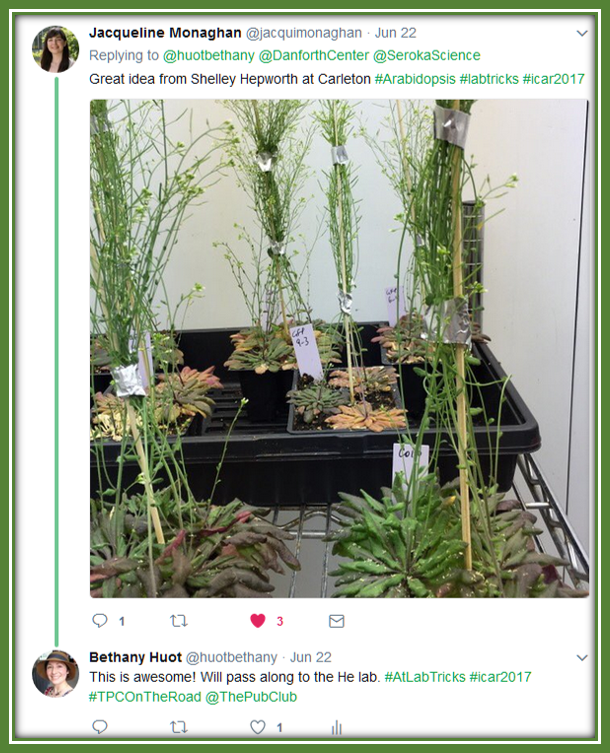 This gave us the idea that #LabTricks might be a great way for the science community to share clever ways of saving time or overcoming obstacles in the lab. Because we at The COM are all about using our Community to help us develop our skills both at and away from the bench, I wanted to share this idea with you in hopes it will gain traction. Want to participate? Here’s what you do. UPDATE: I got a bit excited about this idea and forgot the first rule regarding choosing a hashtag – Make sure it is unique! In searching the #LabTricks, I discovered that dog lovers, specifically of the Labrador retriever type, are also using #LabTricks! So, let’s go with #SciTricks instead. This one has only been used twice, and is on topic, so we are safe for now! 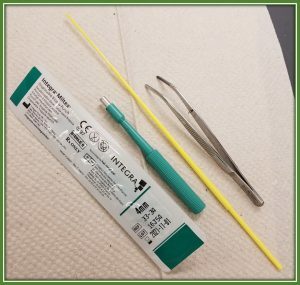 Have a simple, clever method that saves you a lot of time in the lab or just makes life easier? Snap a picture and Tweet the tip & the picture to #SciTricks. Include The Pub Club’s handle (@ThePubClub) and we will retweet it! If you learned the trick from someone else, be sure to give them credit! Here are a couple more examples. 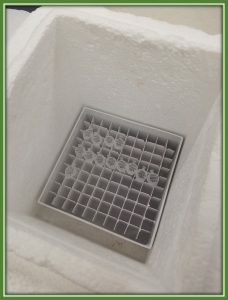 Tip #2: I often collect and flash freeze plant tissue in liquid nitrogen. 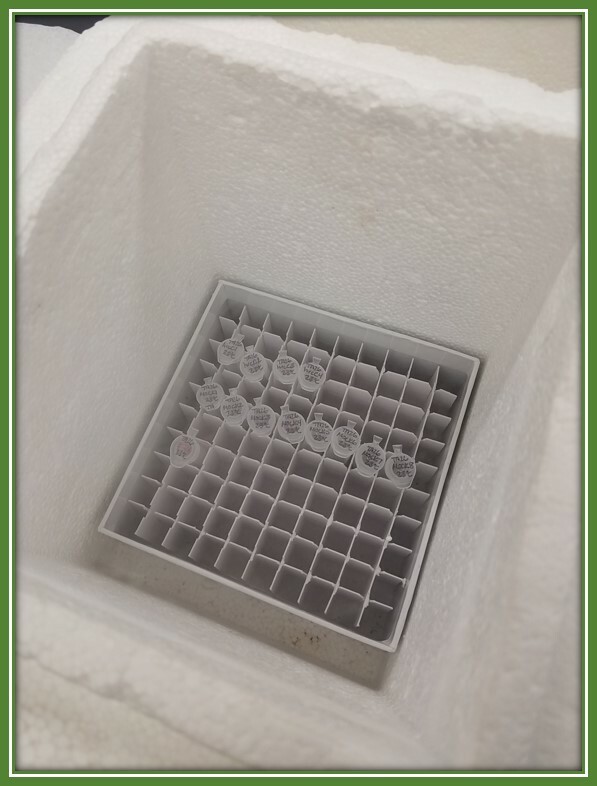 Thanks to Payam Mehrshahi (@payammehrshahi), I can keep my samples nice and organized (and use less liquid nitrogen) by using a cardboard sample box inside a small Styrofoam container. Samples in 1.5 ml Eppendorf tubes sitting nicely in liquid nitrogen thanks to cardboard box sitting in small Styrofoam box. Tip #3: In the He lab we do a lot of disease assays, which requires collecting equivalent leaf tissue (based on leaf area) from all plants sampled. The Day lab (@MSUDayLab) got us hooked on these biopsy punches, which enable sampling from small leaves (useful when working with mutants!) or sampling for several assays from the same leaves. They are disposable, but we usually reuse them several times before discarding. 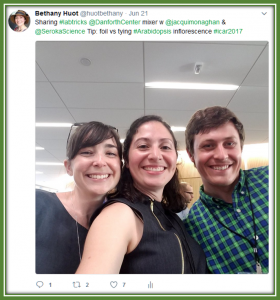 Of course, if you are looking for a better way to do something, you can also Tweet the problem you would like solved to #SciTricks and see what clever strategies The COM is able to share with you!